My muse is a curious creature. 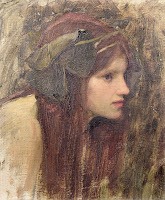 She is not a physical being, but if she were, I imagine she would look like the young woman in the John William Waterhouse painting entitled “A Naiad.” A “naiad”, I learned, is a kind of nymph, or female spirit that presides over rivers and springs. Of course my “nymph” presides over my writing. But her presence is unpredictable—as is her temperament. Which is only to say that she is not always around when I need her—and when she is, not always in the mood to help. As a result, I have had to find ways to summon her and engage her in the writing process. The most reliable way to get her attention is to listen to music while writing. My muse loves music, but only particular kinds. For example, I often play film soundtracks in order to summon her—no lyrics—only music. Music with lyrics annoys and distracts her. So if I want her to join me I often listen to Michael Nyman—the music from The End of the Affair is her personal favorite. Others include soundtracks from The Last of the Mohicans, Dances with Wolves, and The DaVinci Code. 1. Research—Most writing, even fiction, often requires background research. When I can’t even string together a worthy sentence, I’ll go to my research for a time. It often brings my muse back. 2. Edit—I often edit at the beginning and end of each writing session. But if I’m making no progress writing, I go back and edit again. 3. Read, Read, Read—Reading work I love is a great inspiration for my own writing. It will often get me back to my keyboard in a hurry. 4. Skip Around—Instead of working in a linear fashion, for example, from beginning to end, I will work on another section of the piece in order to make some progress. 5. Work on a different piece of writing—unless I have a deadline that’s extremely close, I’ll move on to another writing project; sometimes a change in focus will mean a couple of completed pages. 6. Go for a walk and let my mind wander. In his novel, Bag of Bones, Stephen King says that, “…eighty-five percent of what goes on in a novelist’s head is none of his business”. I often come back from a walk ready to work. What does NOT work is going to Facebook (my digital crack) or answering emails. This will surely pull me away from my writing entirely. 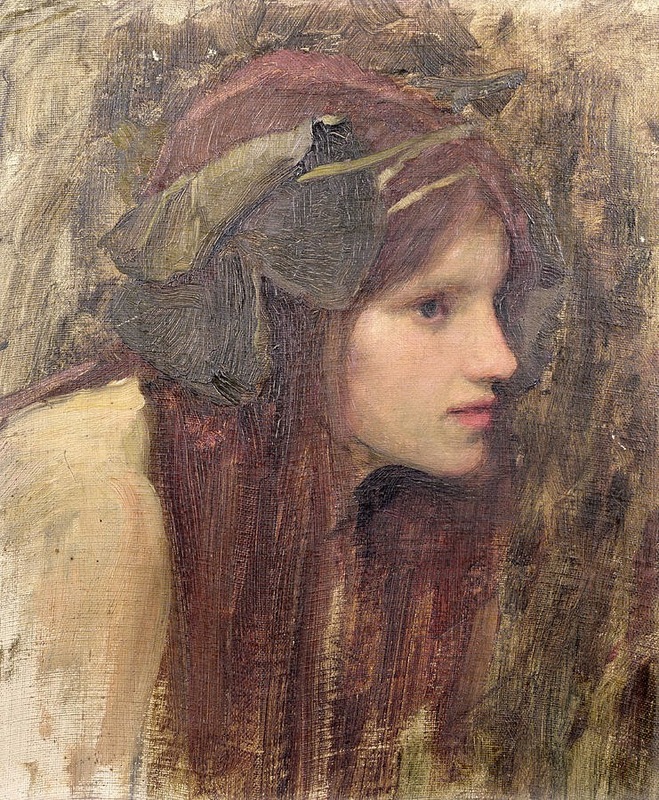 Who or what is your muse? What do you do when you’re waiting for your muse? I would love to hear your stories. Unfortunately my muse may resemble Bacchus! I do not have many vices and don't see it as a habit but when writing something new I enjoy wine or scotch and if nice enough to sit outside my pipe or a cigar. I write longhand in a journal and when my muse is fully engaged I will write pages and lose track of time. Adjustments are always needed when transfer to computer but that gets the flow going again and i always type more than I originally write. Who was it that said "Write drunk and edit sober?" Hemingway or Fitzgerald? Beautiful post! Our muses share a love of music. One of my favorite pieces was written over a 10 hour period while listening to a single song played over and over on a loop. It definitely felt inspired. It sounds odd now and I've never done that again, but I still must, at times, invoke the muse through music. Thanks, Travis! I guess I could've guessed your muse--ha! Actually it was neither Hemingway (as most believe) or Fitzgerald. Some think it was novelist Peter De Vries. Haven't read any of his stuff, but there you have it. OK, I will tell you but don't judge me! : ) It was Natalie Merchant singing How You've Grown and now I can't listen to it anymore. It's too poignant somehow. That is also the only time I've ever listened to a song with words while writing because it usually distracts me. I would not judge...and I love Natalie Merchant, but I do have problems working when I'm listening to music with lyrics. Thanks for sharing!